Our fully licensed kennel and pet boarding facility opened its doors in 1988, and our employees are all animal lovers who treat your pet just as they would their own. Like they're our own. Whether you are leaving town for a couple of days, or work long hours and don’t want your dog to be alone, the staff at Golden Wood Kennels of Chambersburg, PA is here for your peace of mind. Leaving overnight? Can't take your pet with you? We can help! Worried about leaving your pets home alone while you work? Bring them to us for a fun and active day. You can trust us to provide great care for your favorite four legged friend. Our staff members are experienced with many different types of animals, helpful and willing to answer all your questions about the care your pet receives here, and what they do during their stay. 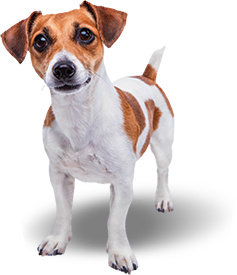 Our pet boarding facility caters to dogs, cats, rabbits, lizards, guinea pigs and more. If your animal is not on the list, give us a call and we will see if we can help.